Heat oven to 350°F. 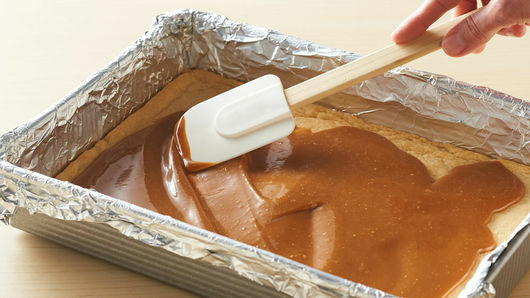 Line 13x9-inch pan with foil, leaving extra hanging off sides; spray bottom with cooking spray. 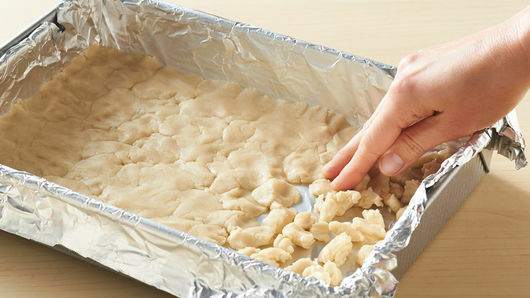 Press dough in bottom of pan; bake 20 minutes. Cool 5 minutes on cooling rack. Bake 5 minutes; return to cooling rack. 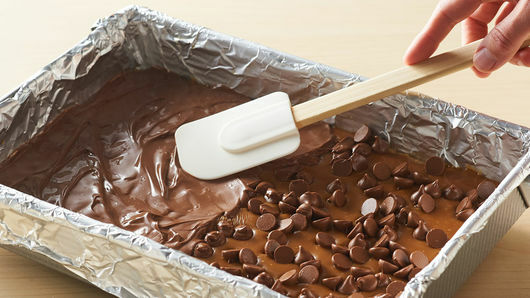 Sprinkle chocolate chips evenly over top; let stand 2 to 3 minutes. Spread melted chips evenly over filling. Let cool 30 minutes. 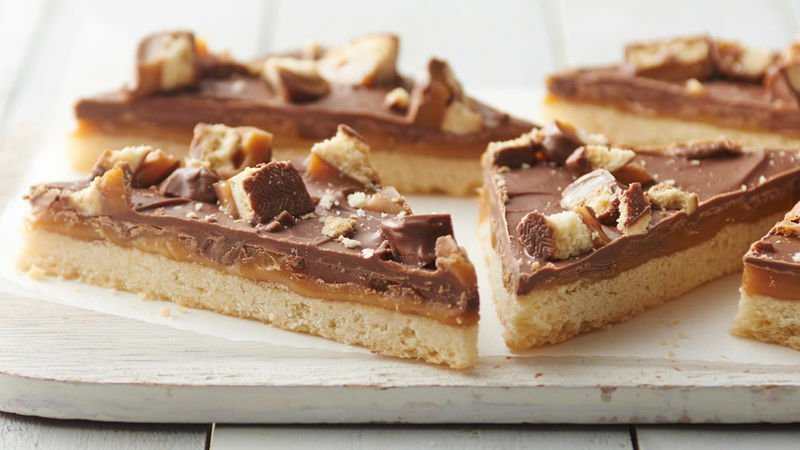 Sprinkle with Twix™ bar pieces; pressing in lightly.